- Kaffir lime. Thanks to the essential oils obtained from kaffir lime, this concentrated citrus conditioner has a rich exotic smell. In addition to the aroma therapy and restore functions fruits lime and grapefruit, Thai residents for years have used their antibacterial and antioxidant quality with constant hair care. 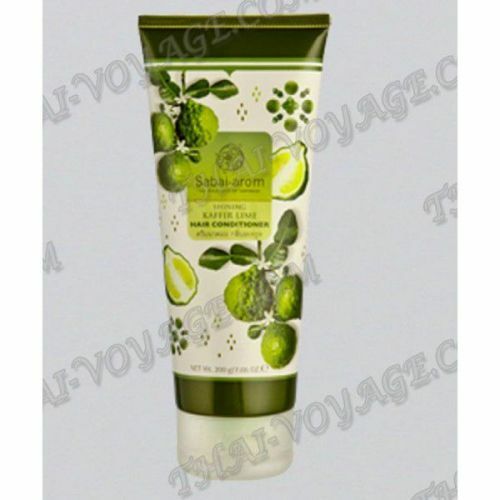 In the past, Thai lime baked until soft state and then rubbed his hair, gave them to shine, and made them clean and soft. The special formula of balm, based on kaffrskogo lime oil, protects the hair from excessive oily sheen, and stimulates scalp circulation. Near each hair forms an invisible film that keeps them separate from each other, with all this, making it easier to comb and protecting it from bad environmental influences. Application: Apply the product after washing your hair with shampoo, soak for 2-4 minutes and rinse with warm water. 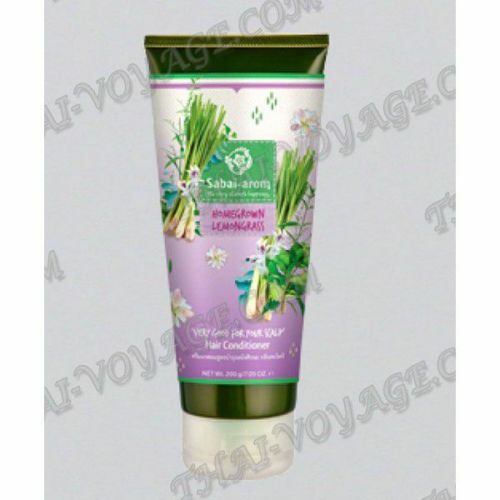 It is recommended to use in combination with the same shampoo Sabai Arom.